With last season’s debut of “Naked and Afraid”, it appears that the TV reality show well might be running dry. Having exploited everything from dating to cooking to home improvement, it looks like the reality genre has finally been exhausted. It’s “The Bachelor” meets “Joe Millionaire” in this political romance show. One U.S. congressman is introduced to 25 lobbyists who compete to win his love and support. Each episode features “dates” and ends with a “check” ceremony where the lobbyists offer up envelopes to the congressman in hopes of buying his heart and vote. Unlike other reality dating shows, the congressman is not restricted to choosing just one lobbyist. 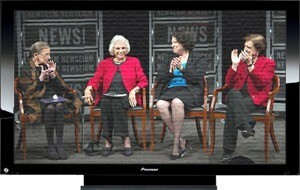 If successful, look for the debut of “The Congresswoman” next season. Nine aging jurists are forced to work together in a courtroom from the first Monday in October until the end of June. Alternating between sittings and recesses, the three women and six men are faced with new dilemmas such as what color to paint the walls, what kind of lunch to order in or whether or not a corporation is a person. The courtmates publicly assert that their decisions are all strictly based on legal reasoning although after the lights go out, it’s clear that there’s more politics than law involved as evidenced by the plethora of 5-4 split decisions. There are 435 contestants living in the House and 100 in the Senate in this bicameral reality show. One team, called the Democrats, is assigned the task of trying to get bills passed to become actual laws. The other team, called the Republicans, tries to block those bills by whatever means available. The Democrats rule the Senate except for the inconvenient fact that it takes 60% of the residents to get anything done. It doesn’t really matter anyway since almost nothing gets by the Republicans in the House. Sadly, the only real losers in this show are the American public. It’s an aging Palladian-style mansion located in the heart of Washington, D. C. The almost 200-year-old residence has been home to more than forty different men and all but one lived there for eight or fewer years. 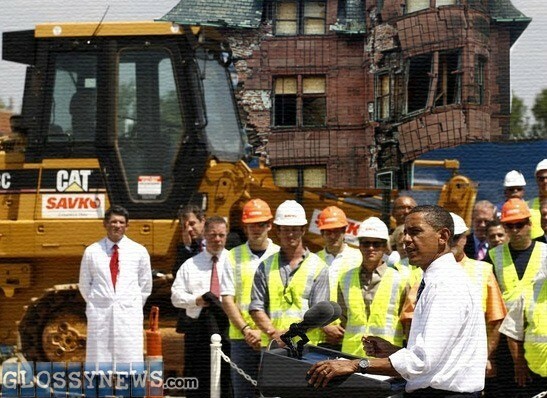 The show follows the day-to-day life of the current resident and his ongoing failed attempts at legislative renovation. Whether it’s immigration reform or socialized medicine, the house’s tenant just can’t seem to get any Washington contractors to cooperate to make the necessary changes. 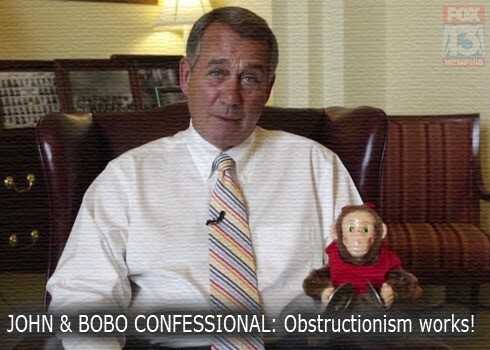 This show follows the daily life of Speaker of the House John Boehner, America’s favorite keening congressman. When it comes to sentimentality, he’s the handiest man with a handkerchief. Whether it’s remembering his hardscrabble background, thinking about the disadvantaged or honoring Rosa Parks, Johnny Boo-hoo is the king of the Washington waterworks. Unfortunately, when it comes to actually voting to help any of these folks, it looks like John’s are the only dry eyes in the House. Dave Martin's humor and political satire have appeared in many major North American newspapers including The N. Y. Times, The Washington Post and The Chicago Tribune. His latest humor collection is entitled "Screams & Whispers" available on Amazon.com and he blogs at www.davespoliticalsatire.blogspot.com.